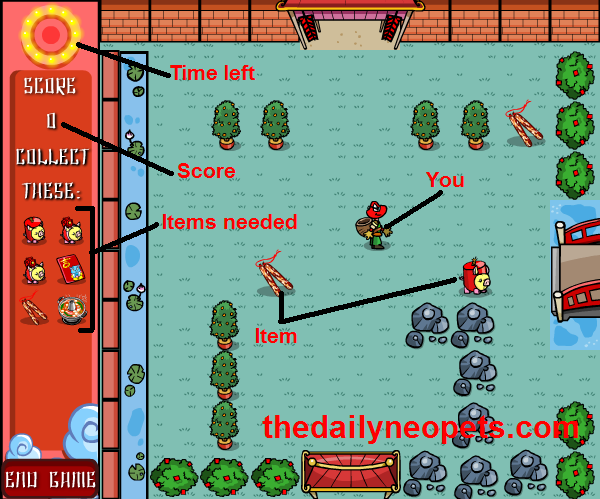 In this game, you play as Orrin the Nimmo and you must capture all of the escaped Snorkles and other festive things before the Lunar Festival begins. How the Snorkles escaped is unknown... but I bet it was that shady looking character over th... oh that's you! Sorry about that! The only controls you need for this game are your arrow keys, to move Orrin around. The whole point of this game is to search the map to find all the Snorkles and other things that are needed for the Lunar Festival. When you find an item that you need to collect, just walk over it to pick it up... but make sure that you don't pick up any items that you don't need. If you do, you'll have to make your way all the way back to Anshu and give it to him (Anshu is the guy floating on a carpet you see at the start). Now you may think that this is simple, even with a time limit, but the time can really fly bye, and by the time you get to level three, it can be quite hard to finish. 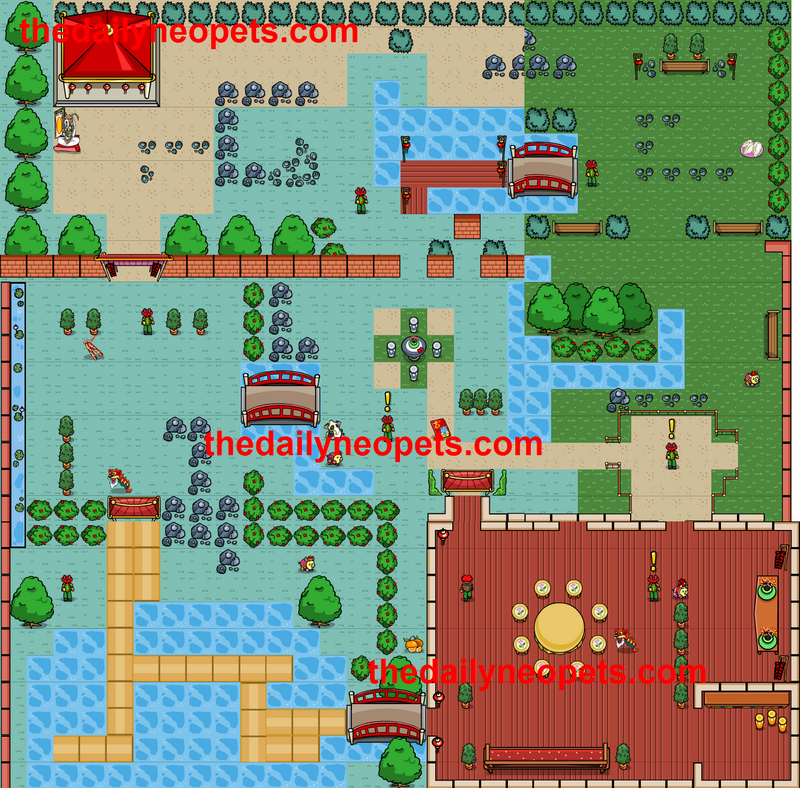 See the screenshot below for the game layout. as well as three different types of Snorkles which are worth 4 points. The best thing that you can do to find all the items fast is to search each part of the map systematically, looking in each part and picking up every item as fast as you can. Also, never pick up an item that you don't need, it takes a lot more time than you would think to take the item back to Anshu. See the map below for a good path to take. All in all, this is a pretty simple (and short) game, you can beat the game in less than ten minutes, but it is still quite addictive. The Snowager is awake. He'll be sleeping in 6 hours, 11 minutes.